I'm sure you've all noticed it by now... brass has made a comback and is everywhere, from hardware, to kitchen faucets, to lighting fixtures. What do you think? Would you put it in your house? 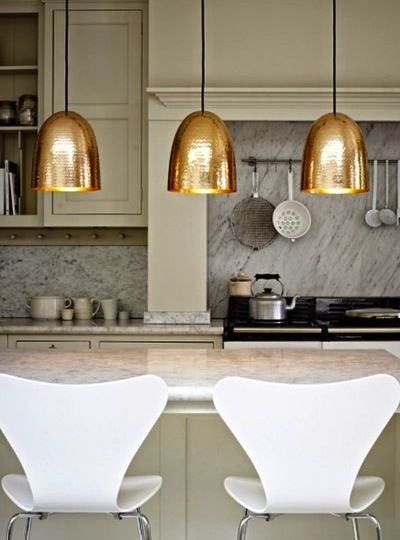 Here are a few example where we think they got it right, starting with the trio of hammered pendants, above. They definitely add a lot of warmth! 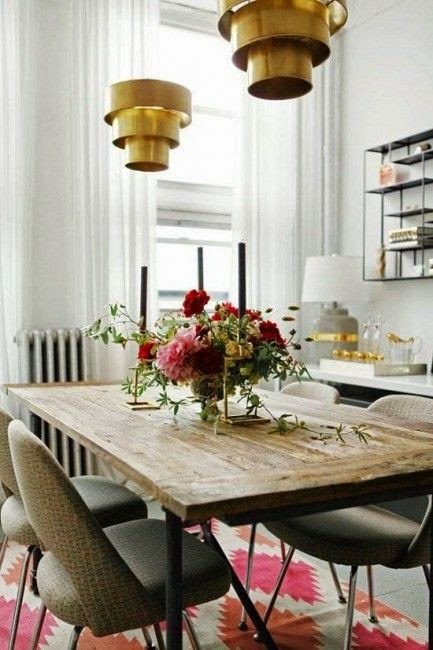 Bringing in brass with light fixture is a great way to try it out, since they can always easily be changed if you eventually tire of them. These ones are almost like piece so of art. They look great with the rustic wood table. 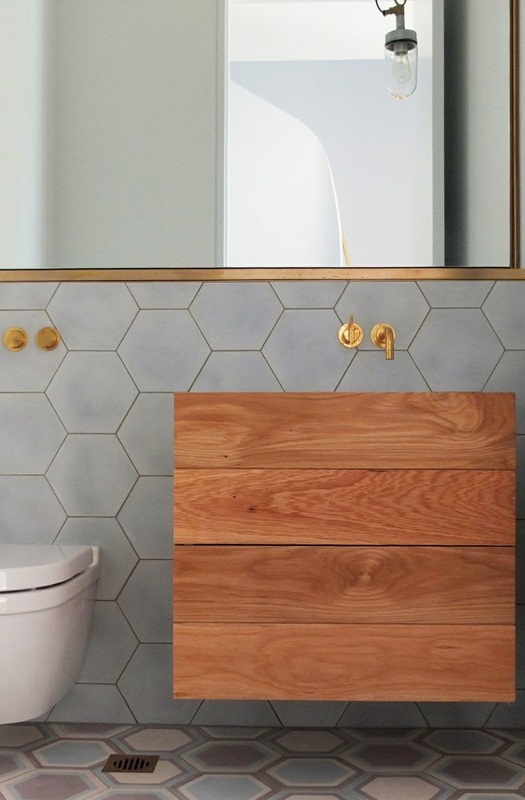 Simple brass fixtures atop a great floating vanity. 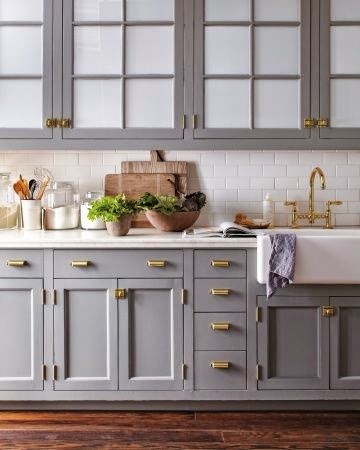 I love any bin pull, and brass worked into a classic farmhouse kitchen feels almost refreshing! 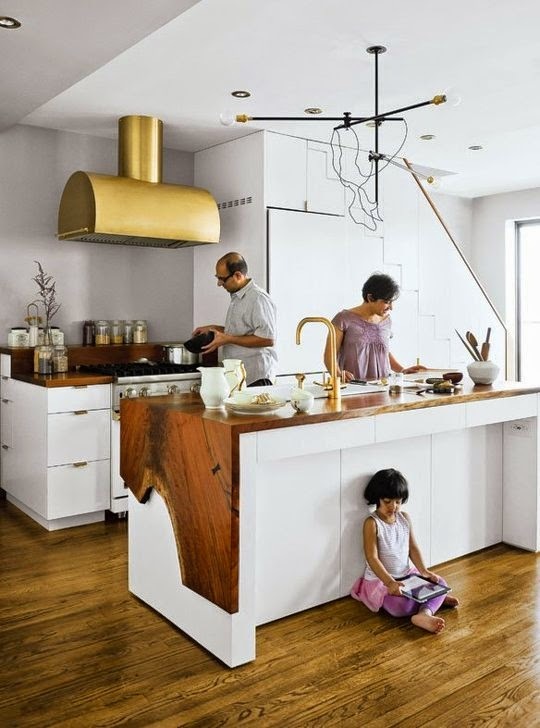 This brass hood is so cool - the contrasting white and natural wood really work in harmony with the brass accents. (from here, here, here, and here, and Pinterest).